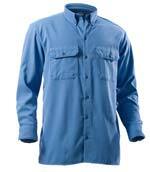 The Wrangler® FR Long Sleeve Work Shirt is made from a 7.5oz cotton twill, providing 8.5 cal/cm2 (CAT 2) protection. It offers a comfortable relaxed fit, pocket with pencil slot, button-front closure, and exterior FR labeling. 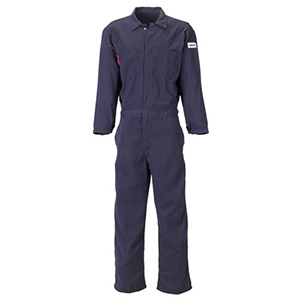 Wrangler® FR garments self-extinguish to effectively prevent or greatly reduce the severity of burn injuries in the event of an arc flash. The Wrangler® FR Relaxed Fit Jean is made from a 14.75oz FR cotton denim, providing 23.8 cal/cm2 (CAT 2) protection. It features authentic five pocket styling, wide leg openings, reinforced back pockets, and orange exterior FR labeling. Wrangler® FR garments self-extinguish to effectively prevent or greatly reduce the severity of burn injuries in the event of an arc flash. The MSA EVOTECH ArcFlash Full Body Harness is designed to self-extinguish quickly in order to prevent melting or dripping in the event of an arc flash. 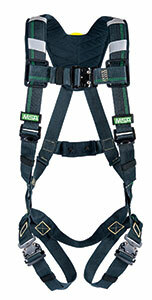 This harness helps to keep workers safe around electrical hazards at heights. Arc Flash Harnesses are durable, with an ASTM F887 rating, and are designed to protect a worker during a fall after an arc-flash exposure. EVOTECH is designed with self-extinguishing Kevlar webbing. 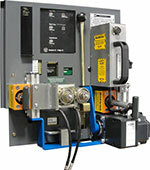 The CBS ArcSafe RRS-3 HK allows technicians to remotely rack in or out ABB/BBC/ITE type HK medium voltage power circuit breakers from a safe distance while remaining stationed outside of the arc flash boundary. 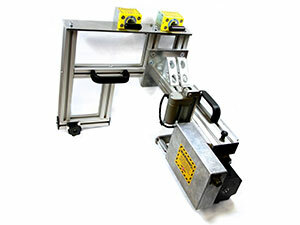 Installation and operation of the CBS ArcSafe RRS-3 HK is quick, simple, and does not require modifications to existing equipment. The CBS ArcSafe RRS-3 HK is compatible with all type HK breakers manufactured by ABB, BBC, or ITE with current ratings from 1,200-3,000A. The Lift Front Hood is Salisbury by Honeywell’s answer to workers’ comfort concerns about standard arc flash head protection. 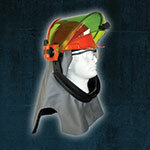 It is a unique, hybrid combination hood that takes the award-winning design of Salisbury’s weight balancing faceshield and blends it with a standard arc flash hood. 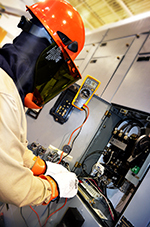 The result is a lighter, more comfortable arc flash hood that increases worker visibility, breathability, and efficiency while maintaining the highest level of electrical safety protection. AMTEX TC is Mount Vernon FR's flame resistant fabric collection of cotton/Tencel blends. AMTEX TC maximizes comfort and durability without sacrificing the protection demands of the FR industry. Fabrics feel lighter than they are, which enhances the comfort of the garment. Like cotton, Tencel is also a cellulosic fiber, but stronger. AMTEX TC offers all the comfort of cotton, but with added strength. DRIFIRE's 12.1 Arc-Rated Woven Shirt features extra-wide, top-to-bottom box pleats along the back, doghouse cuffs, two chest pockets with flaps, a full-front placket, and a button-down collar. The 7-ounce, machine-washable shirt is designed for the hard worker and is made from DRIFIRE's patented moisture-wicking, fast-drying fabric.